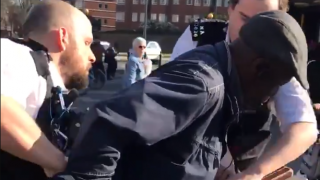 On Saturday 23 February, Oluwole Ilesanmi, a Christian street preacher and former dentist, was arrested outside Southgate tube station in London for 'breaching the peace'. The police have now changed their story about what happened after the arrest - and newly released evidence suggests they're still not telling the whole truth. Following street preacher Oluwole Ilesanmi's arrest on Saturday 23 February, we have launched a petition urging the UK's Home Secretary to protect the freedom of street preachers. Show your support for Oluwole by signing the petition below. "Freedom to express my Christian faith"
Thank you for praying for Felix Ngole's case on 12-13 March. Felix has been supported by the Christian Legal Centre since 2016 after being expelled from his social work course at the University of Sheffield. What had he done? On Facebook, outside of course hours, Felix had expressed what the Bible says about marriage and sexuality. Please continue to pray for the judgment, as it will have implications for whether the 6 million regulated professionals in the UK truly have freedom of speech. Back in November, we brought you the news that mother, Izzy Montague, was one of several parents to challenge her child's primary school for forcing children as young as five to participate in an event celebrating gay pride. Now, Izzy has launched a legal challenge against the school and Croydon Council over how her son's school treated her after making the complaint. After hearing about plans to introduce teaching on LGBT relationships in primary schools, school worker Kristie Higgs took to Facebook to voice her concern to her friends. However, after one of her ‘friends’ saw two of Kristie’s personal posts, she was reported to the headteacher of her school and later sacked for gross misconduct. Aberdeen Life Ethics Society was repeatedly blocked from affiliation with the Aberdeen University's Students' Union due to the union's pro-choice policy. 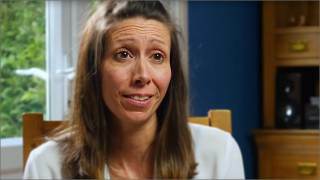 Another day in court: another assault on our Christian beliefs. Andrea Williams comments on the important case of Felix Ngole and how it shows that key Christian freedoms are at stake: an alignment to LGBT ideology is cutting many people out of public life. The Times recently reported on the resignation of several clinicians from the Gender Identity Service, with claims that the clinic was essentially experimenting on vulnerable children by pushing them into ‘gender transitioning’. Carys Moseley argues that while the debate on the ethics of gender reassignment is opening up, not enough is being done to get to the real truth of the matter. New draft guidelines designed to speed up the abortion process were published today by the National Institute for Health and Care Excellence (NICE). They advise that women should be able to book an abortion without seeing a GP or having counselling. Tim Dieppe discusses the dangers of introducing these new guidelines. UK is 'world leader' in family breakdown - but is it any wonder? Rebekah Moffett, communications officer at Christian Concern, comments on the recent findings by the think tank, Centre for Social Justice, which have revealed that the UK is a ‘world leader’ in family breakdown. Last month, the Royal College of Physicians announced that it would drop its formal stance of opposition to assisted suicide and adopt a neutral stance on the subject. Now, several top committee members have resigned following the controversial move. Tim Dieppe comments on the controversial process involved in their change of stance. The UK government has announced that divorce laws in England and Wales are to be overhauled for the first time in nearly 50 years, in another move to undermine the nature of marriage. In a victory for freedom of speech, Britain’s ‘most arrested’ street preacher, Mike Overd, has walked free from conviction after his fifth prosecution. Representing Christian Concern, Carys Moseley was invited to give oral evidence at the Human Resource and Social Development Committee of the Parliament of Jamaica at the end of March 2019. Here, she explains what Jamaica can learn from the legalisation of abortion in Britain and how Britain could learn from Jamaica about standing up for the sanctity of life. Sign up for our news, prayer and action updates. Spiked: Where’s the solidarity for Sri Lanka’s Christians?